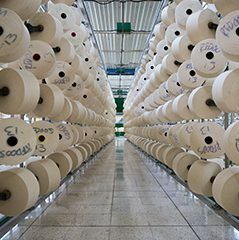 Global Denim is a versatile factory dedicated to the manufacture and sale of fabric with comprehensive process that includes spinning, dyeing, weaving and finishing, as well as being at the forefront of technology to ensure variety and quality in all our products. 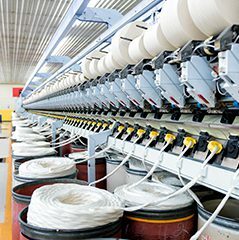 Our manufacturing process begins with denim buying the finest domestic and imported cottons, of which we select only cotton that meets the standards of strength, maturity, length, and color uniformity required. Global Denim stands behind sustainable practices. We're committed to state-of-the-art waste treatments and consuming green and lower energy. Because of this we have built our own hydroelectric power plant, Thermo electrical power plant and recycled water treatment plant. The short answer is: WORLD CLASS DENIM MADE IN THE AMERICAS. But it’s so much more! t’s literally a built from the ground up, state of the art production space. 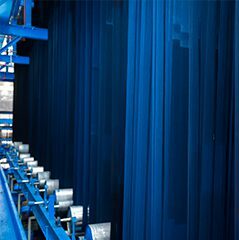 And PRIME production is exactly as the name implies…top of the market products developed using high technology, seasoned know-how, and the most modern equipment in the region.